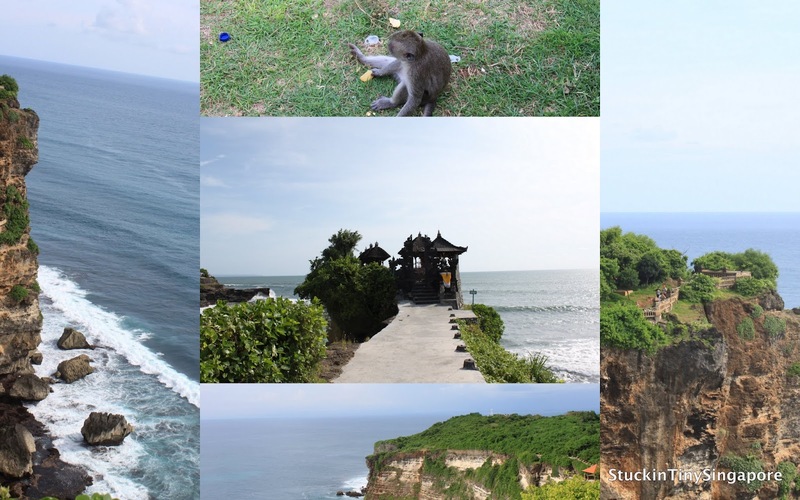 Despite the proximity and the years living in Singapore, I have never been drawn to Bali. Despite the husband being an 'Ang Moh' (Local Singaporean term for Caucasian), we have never been drawn sun, sea and beach. I know it is ridiculous especially within a stone's throw, there are plenty of great beach resorts to visit. 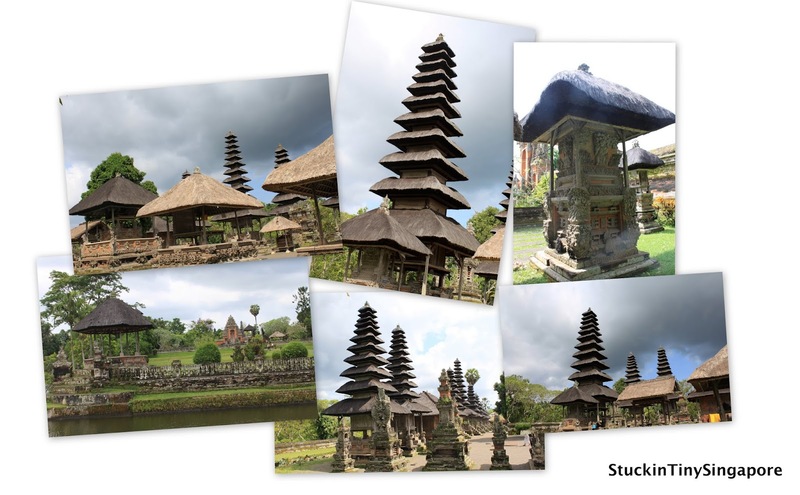 We prefer cooler climate which explains why most of our trips are further afield rather than in Asia. Anyway, I was curious about Bali. 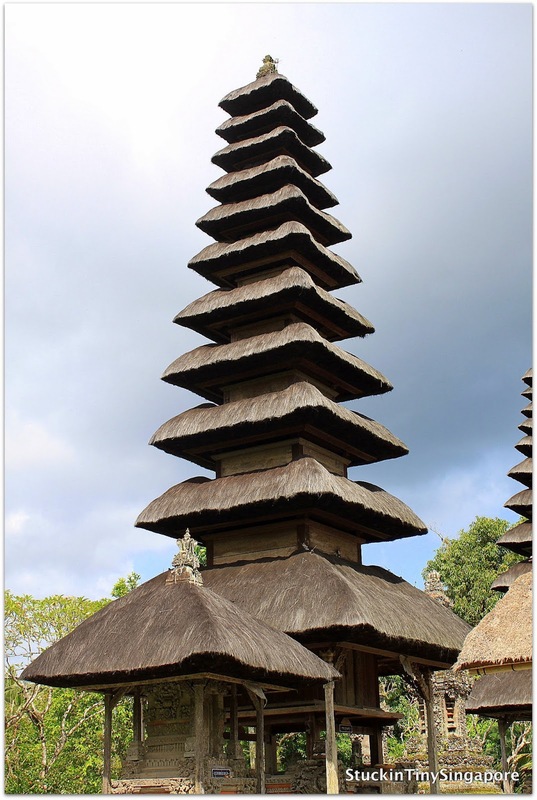 Friends and families have always raved about Bali. Seizing the opportunity of super bargain tickets with KLM, I decided to take my parents and the hubby to Bali. The tickets were only SGD$200 each including taxes - SUPER BARGAIN!!! Having secured our flights, the next was to find a good accommodation. The search was on. Those who know me, will realised that my search for the 'perfect' villa was a hefty search. I scowered the internet from one end to the other and finally found the right one. 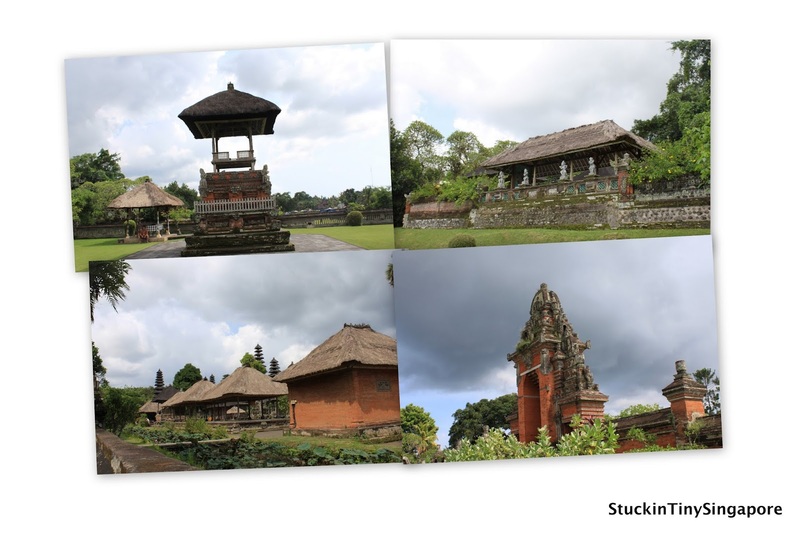 It was Villa Nawang Wulan in Canggu. 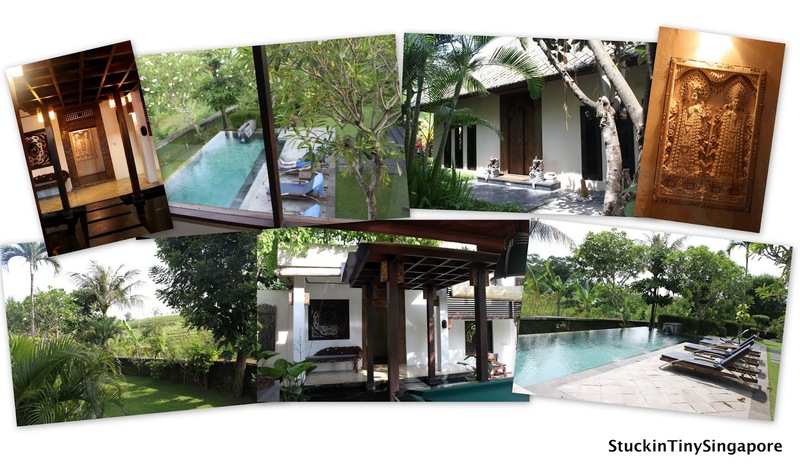 It is a 3-bedroom villa that consists of three separate buildings, bounded by beautiful garden areas, surrounded by peaceful ricefields. 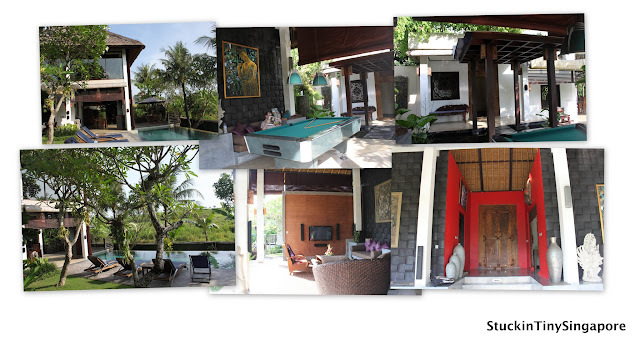 The villa's architecture is a mixed of classic balinese and modern comfort. There is even a swimming pool fed by a waterfall with sun beds and a raised wooden deck. The three separated building are make up of the main pavilion which consists of a living area, a bedroom and a library. There is a large plasma TV and hi-fi system along with a pool table and sofas for everyone to sit around and enjoy the facilities or the view. Then you have the dining pavilion where the kitchen is. To get from the living pavilion to the dining pavilion, you walk pass a ornamental pond via some stepping stones. Upstairs of the dining pavilion is the Bunga Room. 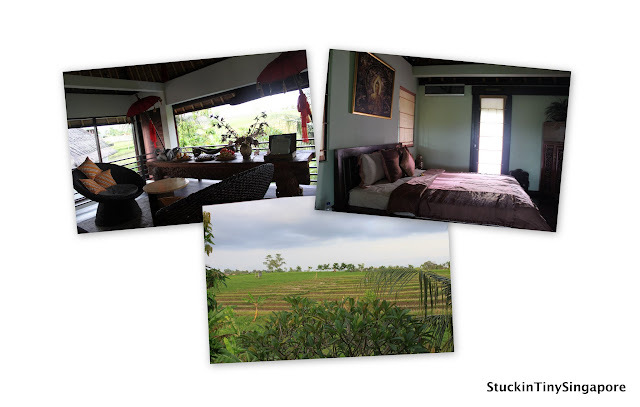 There is a lovely mezzanine sitting area with great views of the rice fields and beyond, the bedroom is air-conditioned with beautiful furnishings. The hubby and I had the master suite. It is housed within a self-contained bungalow with a thatched roof. You have to walk through a pebbled pathway to get to it. 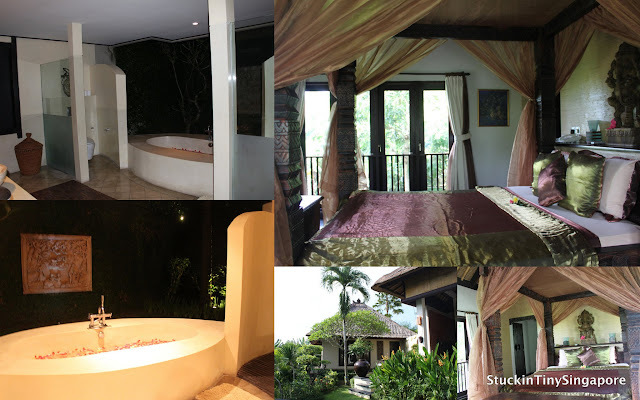 There is a four-posted balinese bed and the most amazing bathroom. There is a gorgeous bathtub and an 'outdoor' rain shower where you can enjoy the view while having your bath. The rates are very reasonable ranging from US300 to 500 a night . Daily breakfast, car and drive (8am to 7pm) and free internet are included in the price. We paid a little extra to have a chef for the day to cook us lunch and dinner. Dishes are chosen from a menu, and you pay for the groceries in addition to the chef. 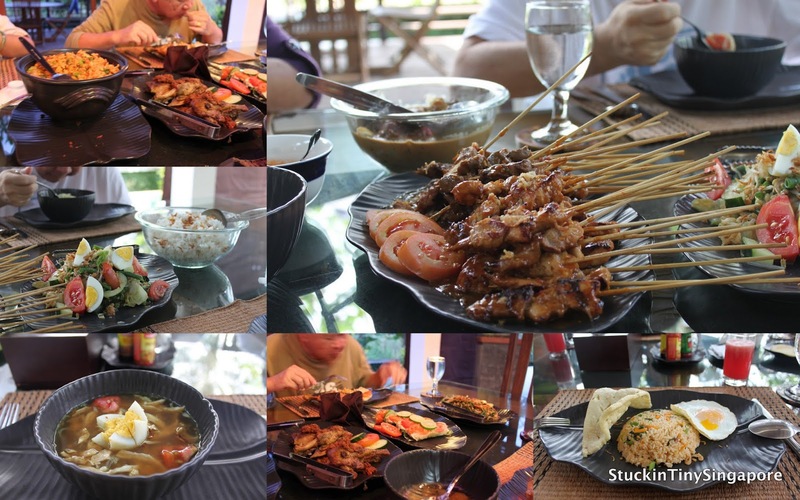 Here are some of food we had during our 3 days there. Since the car and driver was included (we just had to pay for petrol), we arranged where we wanted to go and what time, the driver was there to take us. This was super convenient, as we didn't have to search for a driver on our own. 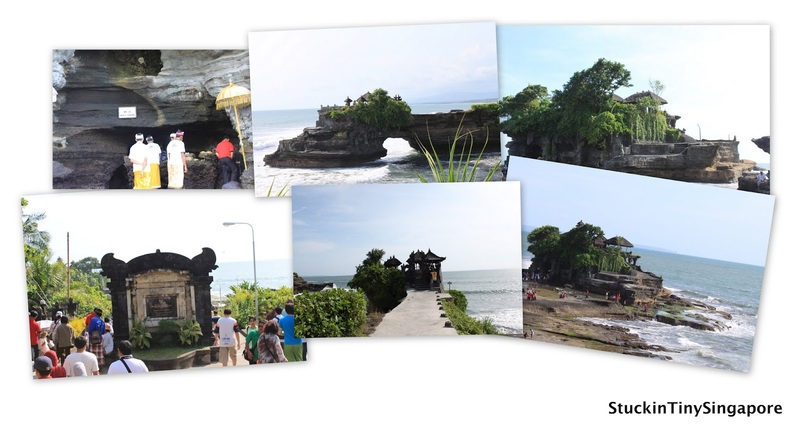 We went to the Bali Museum, Taman Ayun, Tanah Lot and Uluwatu. We didn't have to go to Ubud, and the weather was too hot so much so we were just happy to laze around and chill in the villa. 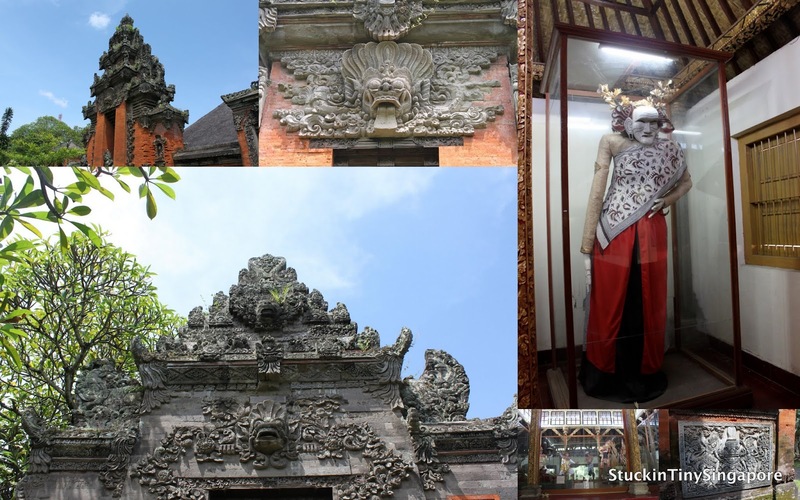 Bali did live up to its hype as a popular tourist destination. We went during the quiet season in November which was much better. Do not go during July and August, that is the busiest period and it will be crowded and everything will be expensive. If you can find some good deals, it is definitely worth a visit. Though the heat is stifling at times, we hope to go back there one day, maybe to visit Ubud area.